Having recently discussed “Camaraderie,” the depressive single from Ireland’s Paddy Hanna, we get to see another side of the singer after he answered our 8 Questions. PH: My Guild arch top, purchased at Matt Umanov Guitars in Greenwich Village (NYC). It has only one pick up and a volume knob; also, I have never changed the strings. Simplicity is my happy place. PH: If They Move . . . Kill ‘Em! : The Life and Times of Sam Peckinpah by David Weddle. PH: That constantly changes, so I’ll just say the wind. PH: I’ve reset my musical clock and have been listening to music by the decades. 2014 was pretty much dedicated to the ’70s so I’ve yet to get ’round to the contemporary releases. I’ll let you know when I do, though. PH: Star Trek. In my developmental years Batman ’66 and Star Trek were two of my favourites, which would explain why I still have a thing for cosplayers. PH: Mark Chester (guitarist, producer). He has fallen flat on his face, accidentally broken his guitar and had more tussles with soundmen then anyone else in the group. On one occasion while watching a band in Liverpool I turned to him and said, “the sad thing is that they will get a record deal well before we do.” He looked at me and said, “don’t be ridiculous, they’re awful.” Almost immediately the singer from the band got on the mic and said, “I’d just like to say tonight is very special for us because we just got a record deal.” Mark was very quiet after that. PH: I was born with it, baby. Many thanks to Paddy for his time. 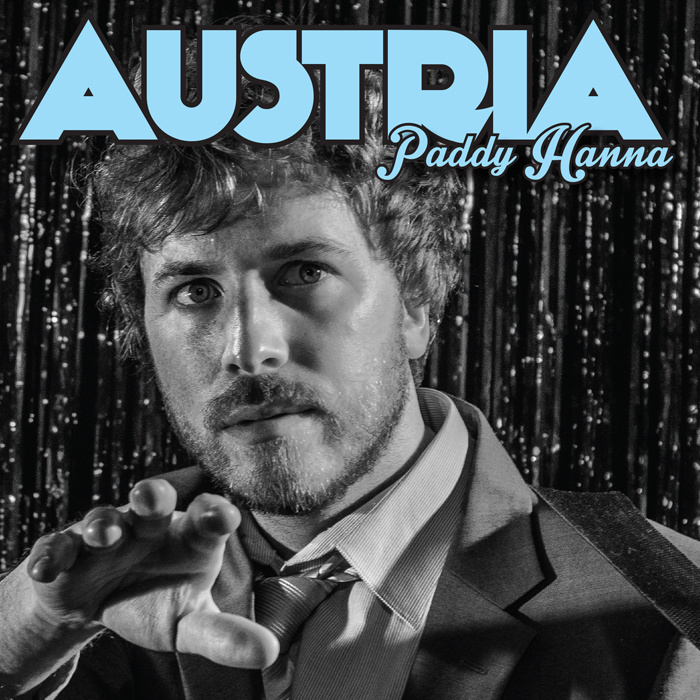 Stream/purchase his latest single “Austria” w/b-side “Camaraderie” on 7″ vinyl below.